It was a sad day for film students in the AMS faculty on Friday, as news broke that Hollywood legend Paul Newman had lost his battle with cancer aged 83. 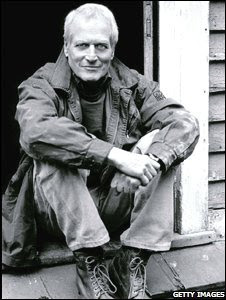 Perhaps best known for his roles in Butch Cassidy and the Sundance Kid and The Sting, Newman starred in over 60 films spanning across six decades. Younger fans will no doubt remember him for his part in Road to Perdition, as well as the voice of Doc Hudson in the latest Pixar release, Cars. Despite his great successes onscreen, deservedly winning the Best Actor Oscar in 1987 for his portrayal of Fast Eddie in The Color Of Money (a role he first immortalised in The Hustler, below), Newman lived an undeniably private life. He constantly guarded his wife, Joanne Woodward, to whom he had been married fifty years, and his five children, from the harsh eye of the public. Newman did, however, step into the limelight when he realized that his fame could help him to help others, and thus, he will also be greatly remembered for the charity work which his life came to revolve around. From setting up the Hole in The Wall Association, a worldwide network of summer camps for terminally ill children, to creating Newman's Own, a non-profit food range, Newman has donated both his time and money to helping out those who need it most. He was certainly not a typical celebrity by modern standards. In an industry now witnessing the breakdown of marriages, careers, and even the stars themselves almost everyday, Newman will undeniably be remembered for his successful endurance in every aspect of his life. It's also worth nothing that this year, as with most things, the election has also made its presence felt in the event. Much debate (largely fanned by a widely circulated e-mail) has surrounded the issue of whether Sarah Palin sought to ban books whilst mayor of Wasilla. Update: Google is also lending its support. This semester's research seminars begin tomorrow, and we're doing it in fine style. 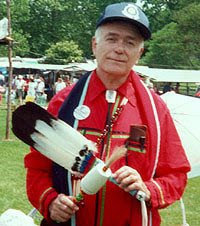 Poet, medievalist, and Native American activist Carter Revard will be presenting readings and a discussion of his work. If you'd like to know more about Carter Revard in advance of Monday's seminar, then Salt Publishing has a selection of readings and video available here. Monday 29th September, A2.51 - at the all new time of 5pm. All welcome. But was it a damp squib? As anticipation builds for the Presidential Debate, the internet is responding in new and diverting ways. Leading the pack is the C-Span Debate Hub - your one-stop shop for Presidential Debates. If you're awake for the debate at 2am it should provide you with live-streaming (though whether copyright issues preclude it working in the UK is another matter). But beyond that, it's got some clever whistles and bells. When things get going it will put together a timeline of the debate, including transcripts and video. It's aggregating twitter and blog feeds that reference the debate, and it's also going to have a cloud of the debate's keywords as they emerge. Neat stuff. Still want more? Then you might want to check out Slate's debate guide, and the nicely specific Presidential Debate Blog. As the election approaches, various television spectacles are being readied. More 4 seems to be leading the pack, and tomorrow (Saturday 27, 5.30pm) they'll begin screening HBO's "miniseries event" about the life and times of John Adams, which should provide a pretty painless introduction to / refresher about the revolutionary period. More 4 is also showing the presidential debates in full (though not in real time). They'll doubtless make their way to youtube before then, however, and if and when they do, we'll feature them here. And it looks like the debate is indeed going ahead - at least according to the latest reports (like this one in the New York Times). News: "Just Because She Sings and Dances in Her Underwear..."
Be careful what you wish for. 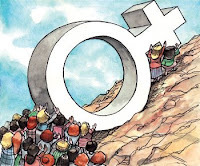 Back in the late 1980s and early 1990s, when I was an earnest neophyte feminist at Vassar, earnestly debating the meanings of feminism, sexism, and choice, I used to wish, earnestly, that we would have a political campaign that actually discussed these issues. And this year I finally got one. Sort of. Only the disingenuousness of the conversation we're actually having is something that I, in my actual ingenuousness then, could never have envisioned. But democracy being what it is, and Republicans being what they are, it's turned into something very twisted, indeed. Tomorrow (Friday 26th September) was supposed to be a landmark day in the election campaign: the University of Mississippi was to play host to the first Presidential Debate. As of now, that's no longer a certainty. In a(nother) surprise move, John McCain announced that he will be suspending his campaign so that he can return to Washington to help with the discussions surrounding the current financial crisis (in particular, the proposed $700 billion bail out). He also reached out to Obama to postpone tomorrow's debate. So far, Obama is rejecting that request: “Part of the president’s job is to deal with more than one thing at once. In my mind it’s more important than ever.” He is, however, following McCain's lead and heading to Washington. Perhaps unsurprisingly, these moves are receiving acres of coverage. Comment can be found in Salon, Slate, the New York Times, and the Washington Post. 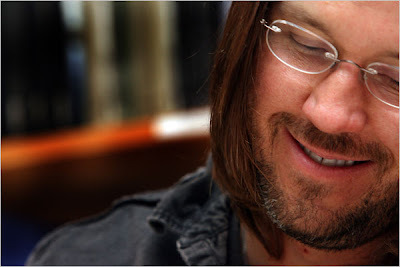 One of the more miserable stories of the summer was the death of David Foster Wallace - probably best known as the author of Infinite Jest (1996) - at the age of 46. His passing precipitated an outpouring of tributes and memories (see Slate, Salon, the New Yorker, and the New York Times for starters). But our loss is also our gain. Harper's has made all of the stories that Wallace wrote for them freely available here. Well, it was quite a summer: economic meltdowns, vice-presidential picks and a variety of hurricanes. Containing Multitudes is now officially back on the case, so you'll know where to look for the stories that matter. If you spot anything of interest or would like to contribute to the AMS blog, drop us a line. Otherwise, have a great semester - and happy reading. We are inviting 30-minute presentations addressing any aspect of the interdisciplinary field of Latino/a studies. We welcome traditional research papers as well as methodological considerations from multiple disciplinary, theoretical, historical, and geographic perspectives. Please email max 400-word proposals as Word attachment, together with one-page CVs, to Dr. Anne Magnussen, magnussen@hist.sdu.dk, by September 15, 2008. American Studies has always been interested in different notions of migration. Publications and course catalogs around the world testify to the role it has played and continues to play in both scholarly research and academic teaching. Recent concepts of 'mobility' can contribute to a new and richer understanding of the movement of people. Thus, we are calling for submissions scrutinizing migration and mobility, their relation to cultures and identities, and the narratives, fictions, and plots they generate. We invite contributors to engage areas such as old and new groups of migrants, the various directions and scopes of ‘mobility,’ different spaces of migration, or any other theme relating to the topic. In other news: Containing Multitudes will be regular updating again soon - complete with some exciting new student contributors. Stay tuned.